When it comes to the vets, let face it. It's not quite the same as taking your pooch to the park for a free run. With the worry that your dog is getting itself into a spin due to aniexty, it safe to say it can be a stressful situation for both parties. Vets are often a place of funny smell, slippery floors and vet fingers going place no dogs wants them to go. Evidently though, most dogs are going to need to visit the vets at some point of their life. 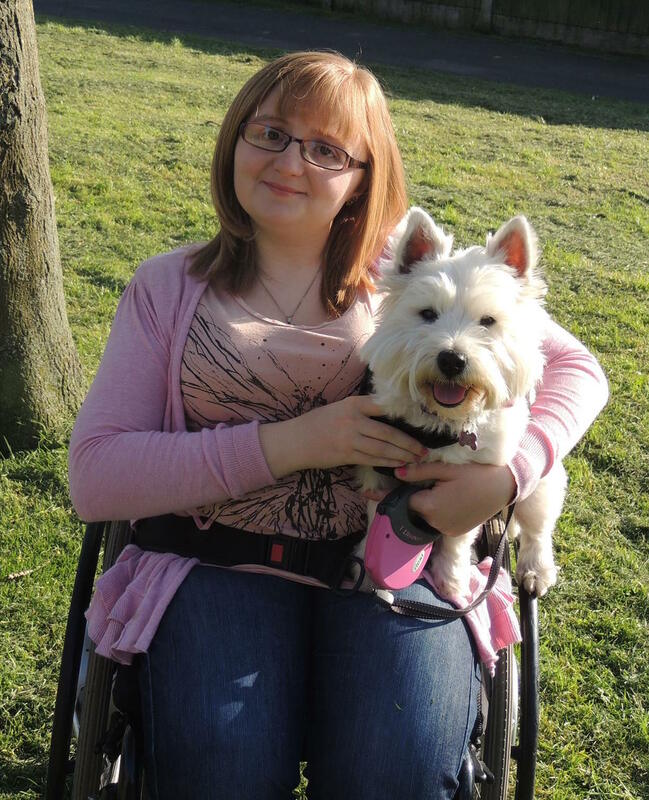 Whether your dog is like Lottie and has a ongoing condition, or they need their yearly jabs, its important that these visits go as smoothly as possible. 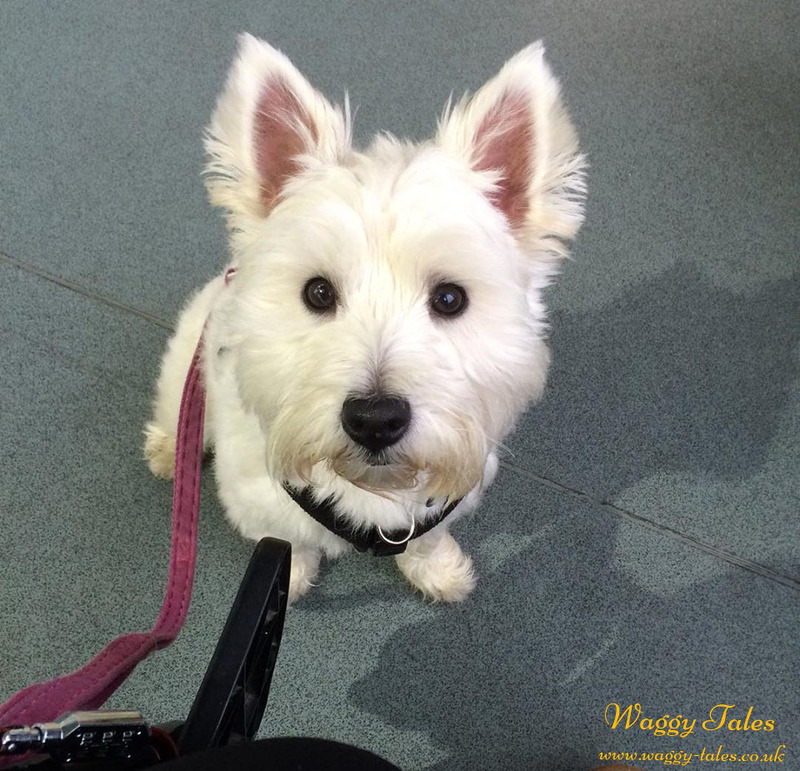 Lottie is a regularly visitor to our vets, so she is very used to it. Now lottie is 5, its safe to say what methods I have found useful to achieve this. These 7 simple techniques can help you to help your dog become tolerant of the vets, and actually enjoy a visit nearly as much as the park. 1. Take your dog to the vets just to say hello. 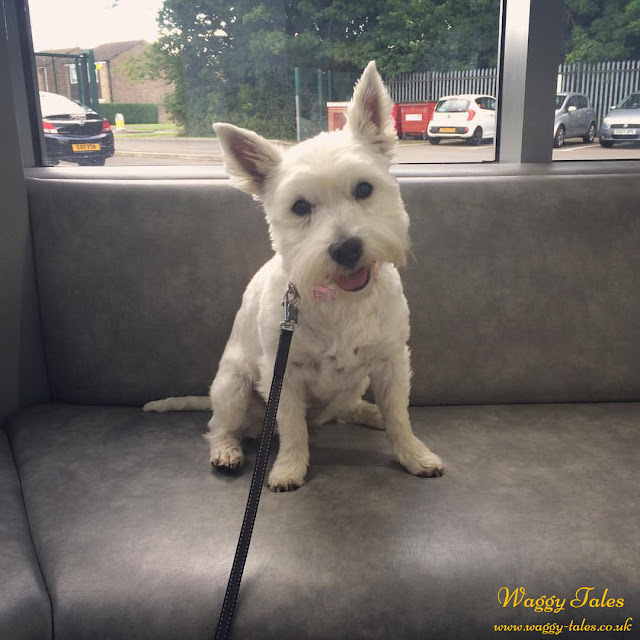 One of the main reasons dogs associate the vets with something negative, is because normal it can involve a procedure which they don't find particular pleasant. Would you really want to go somewhere, when you knew something unpleasant was going to happen. Now I know that theses things have to done for the well being of your pet, but by taking your dog to the vets just to say hello or a weight check can help ease the stress. We started this with Lottie when she was just a puppy, as they are like sponges and soak up all new experiences. We very often take Lottie for a simple weight check, or just for a fuss with the receptionist. This taught Lottie that when we visit it doesn't always mean a cold object going up her bottom. 2. Make every visit a positive one! This one is very important. Even if your dog has got to have something unpleasant done. Rewarding them afterwards is very important. Once you dog has gotten off the couch, give them a yummy high value treat (such as piece of cheese). 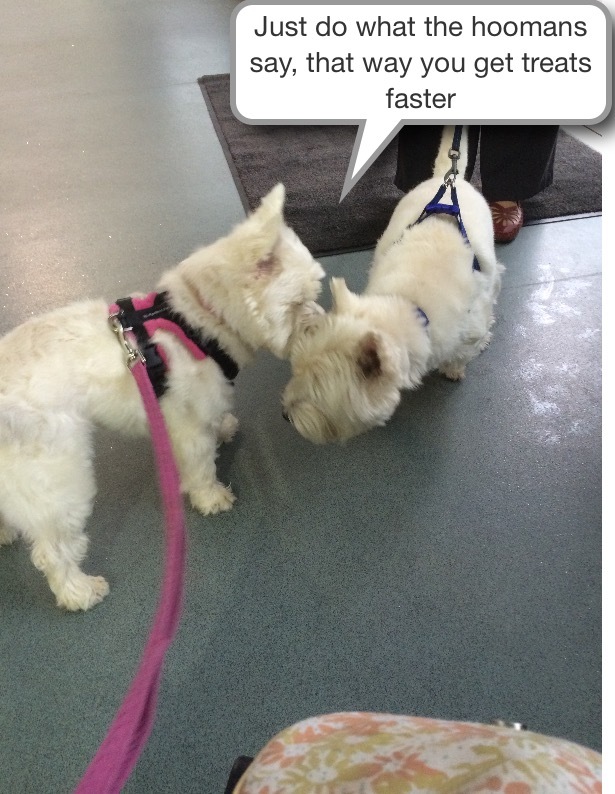 We also found when Lottie was a puppy it was helpful to give her treats in the waiting area to make it a nice place to be. 3. Teach your dog a reliable, sit and stand. There is nothing worse than having your pooch cause havoc in the vets whilst all the other pets sit there like angels. Teaching reliable sit (and stay still) will certainly make waiting in the vets a lot less stressful for you and your dog. Teaching a reliable stand will also help when your dog is getting checked by the vets. It also easier to pick your dog off table from a stand. Dogs are usually touched in areas that they are not used at the vets. Their ears, feet, tails are usually a good place to start. Touching the area gently and providing a treat afterwards will build up a positive association of that area being touched. Once your dog has become well trained to perceive the vets as a positive place. It's important to keep this up. Regularly going back to step 1 and 2 will help reinforce the behaviour. 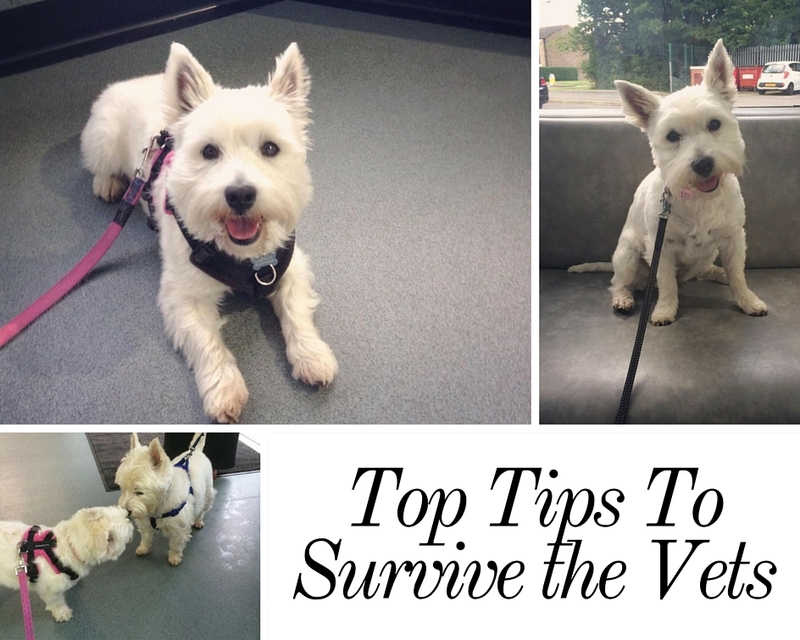 And, if your dog is seemingly ok at the vets and then has a negative experience. Don't panic, just go back to the start of the process and work your way through the steps slowly. We hope you find our five tops useful, if you have any of your own tips please feel free to leave them below in the comments. 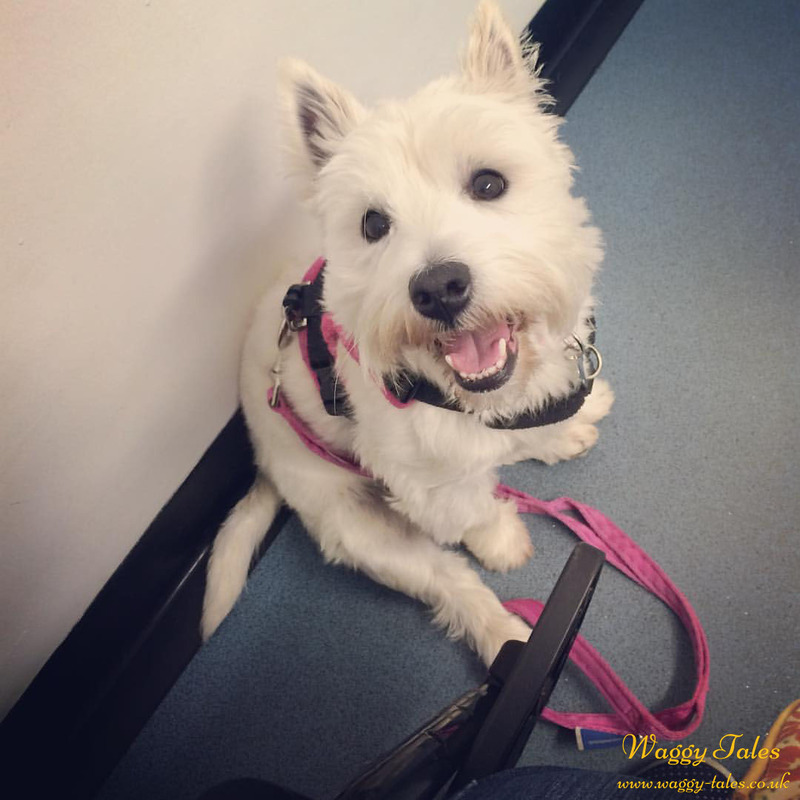 These are great tips for making Vet visits less unpleasant. Great tips. I might take Max over to say hi next time we're near the vet.